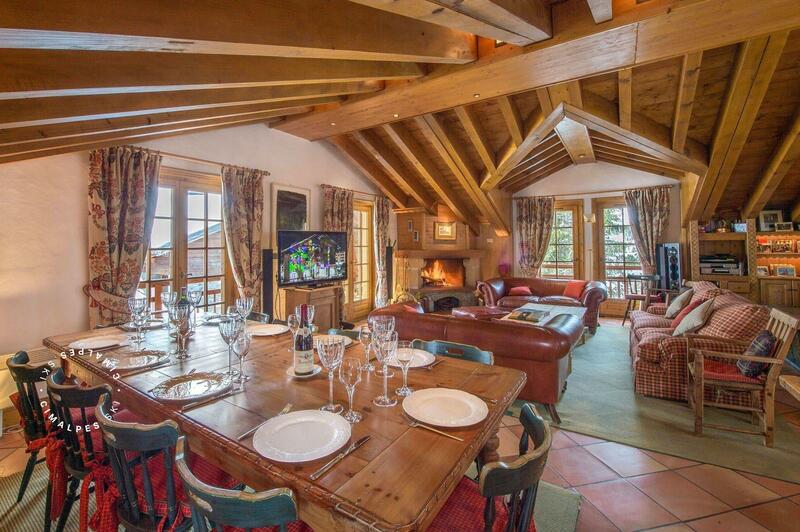 Chalet Desirade, located in the exclusive area of Jardin Alpin in Courchevel 1850 is a mountain chalet built in true Savoyard spirit. 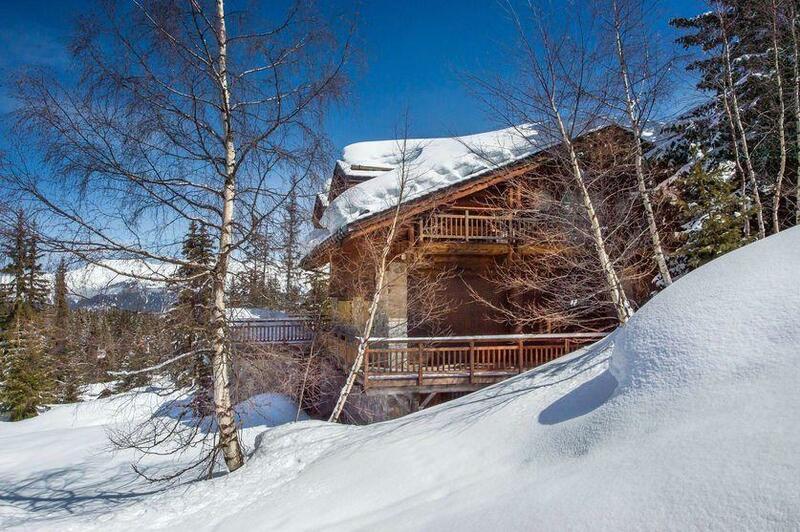 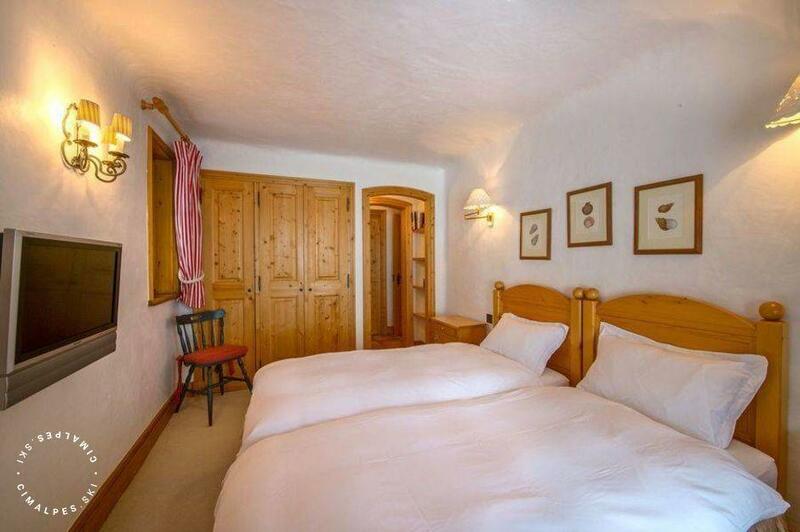 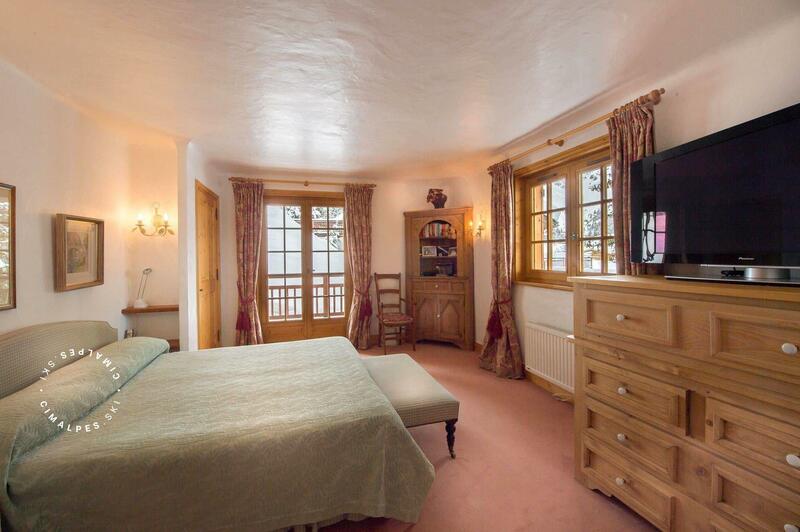 This chalet enjoys a privileged location close to the slopes and ski lifts. 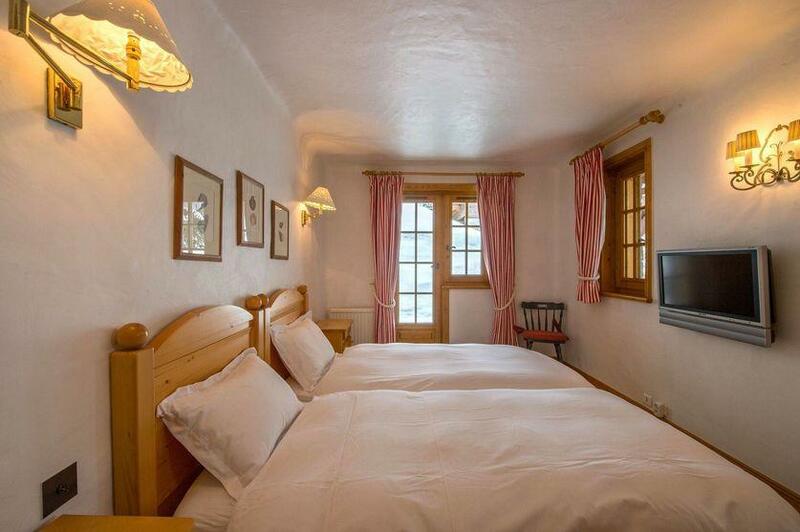 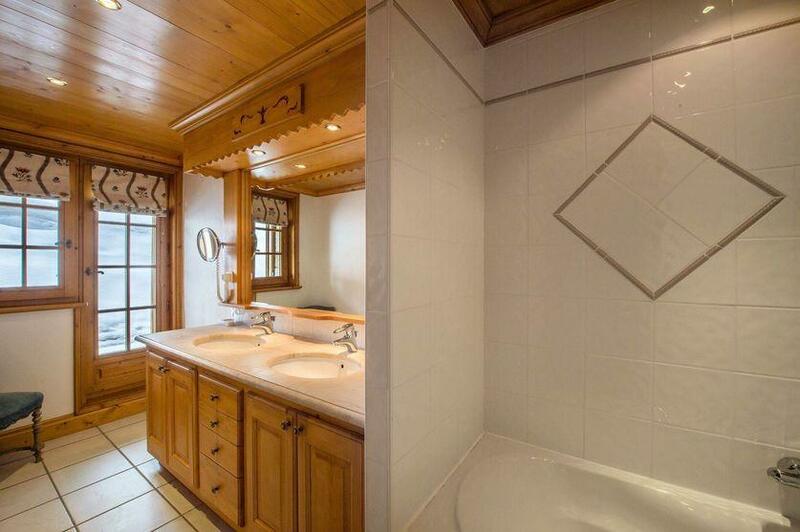 The decoration of this mountain chalet proudly displays its Savoyard origins. 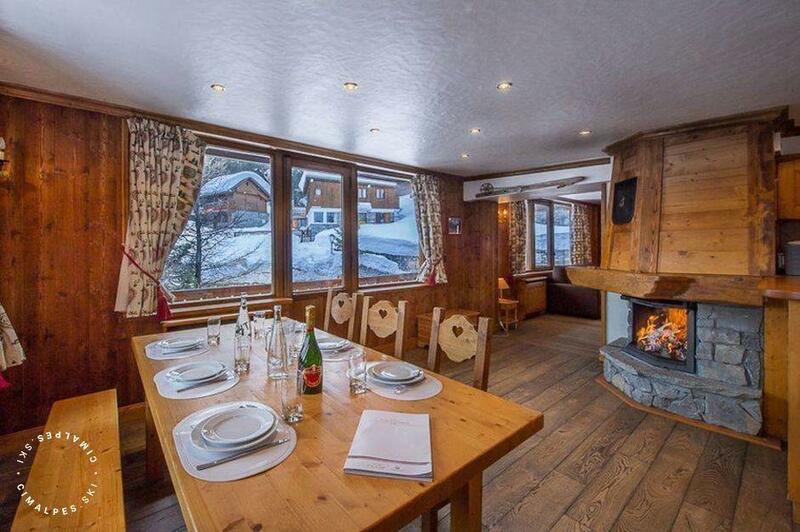 The ambiance of the chalet is warm and genuine. 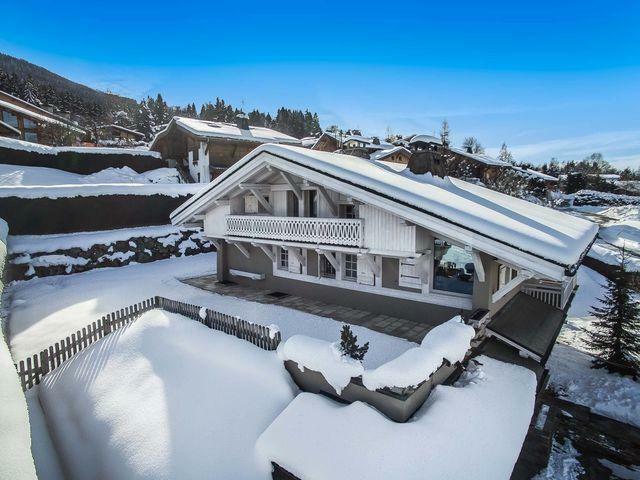 Its exterior architecture is a mix of old dark wood and large stones like the mountain chalets of Savoie made long ago. 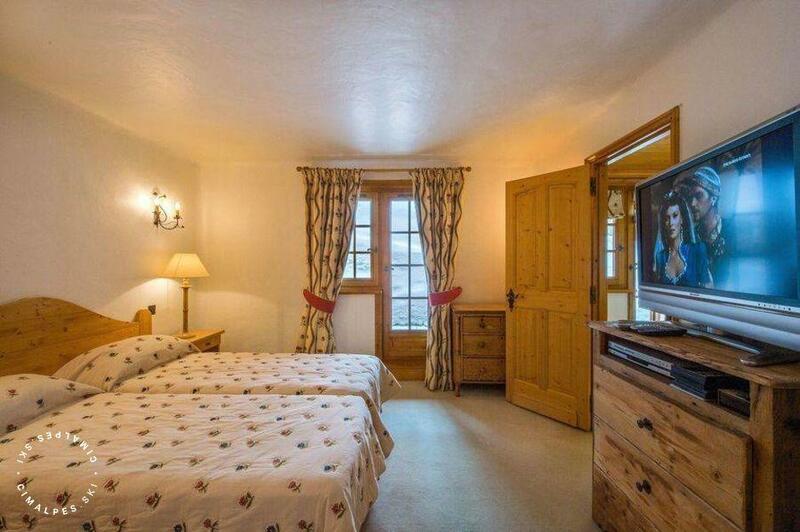 It welcomes 10 people in 5 rooms and private bathrooms. 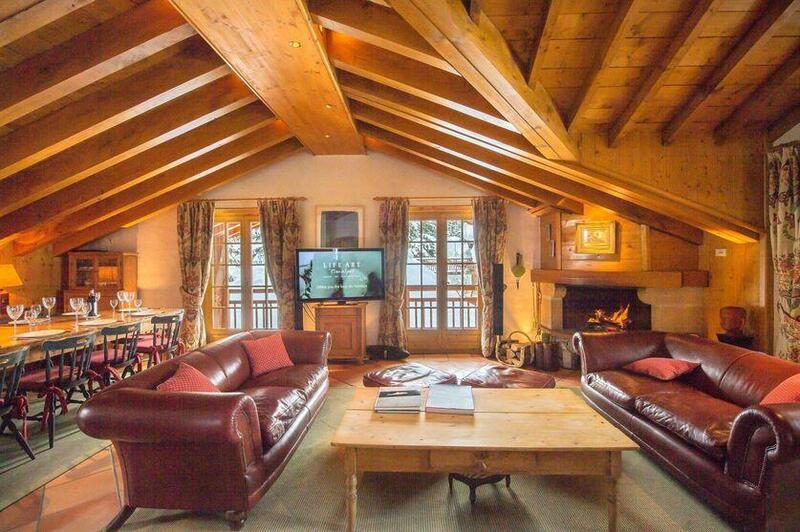 In the large living room, two red leather sofas and a Tartan fabric sofa take centre stage in the middle of the room next to the imposing wooden and stone fireplace that occupies the corner of the room. 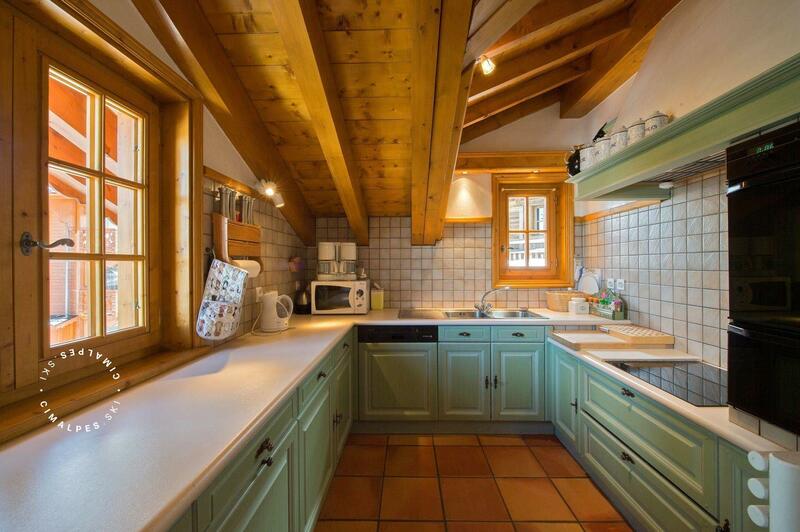 A huge wooden table will accommodate up to twelve guests to enjoy all the typical dishes of the traditional Savoyard cuisine. So imagine a snowy evening, the whole family at the table around a fondue or raclette while the fire is crackling the wood in the fireplace ...That's what a vacation in a mountain chalet looks like. 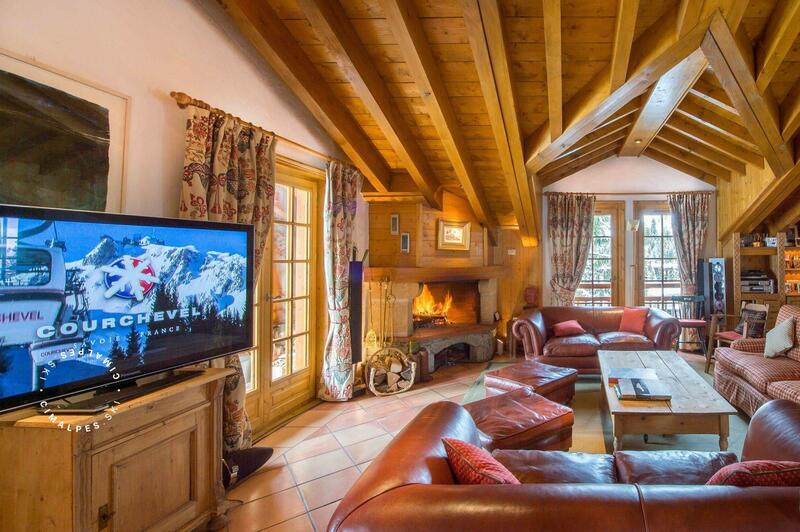 Enjoy the spacious living areas, the facilities and services offered by Cimalpes with the rental of this traditional chalet. 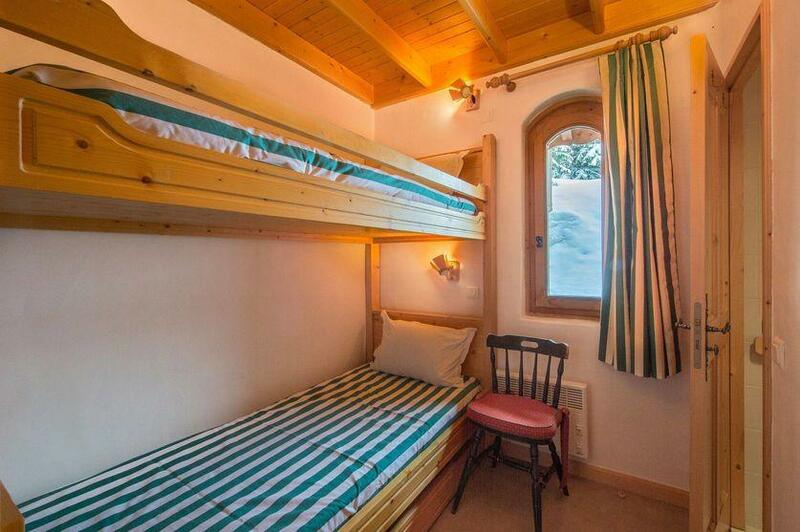 Every morning, the housekeeper prepares a continental breakfast that will give you strength togo on the slopes of the largest skiing area in the world. Desirade chalet is an authentic mountain chalet with a rustic and Savoyard décor but with all the modern comforts. 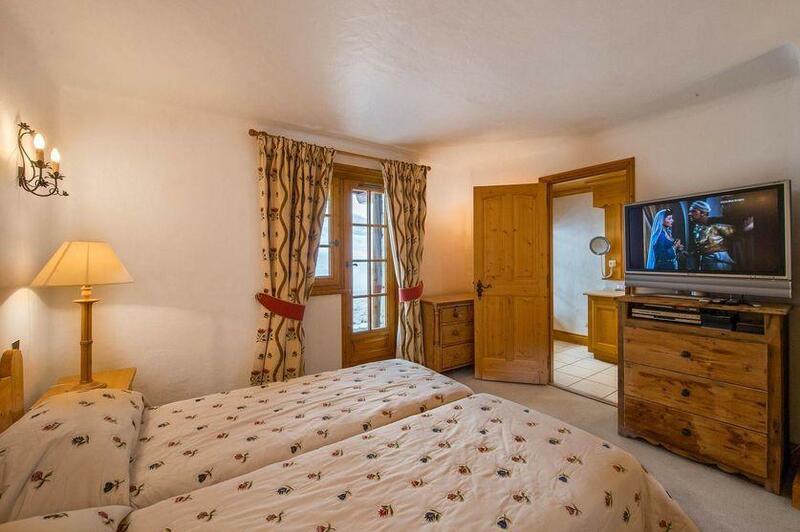 This chalet will appeal to families with children, who want to live for a week in a purely authentic mountain décor and period as to break with the everyday. 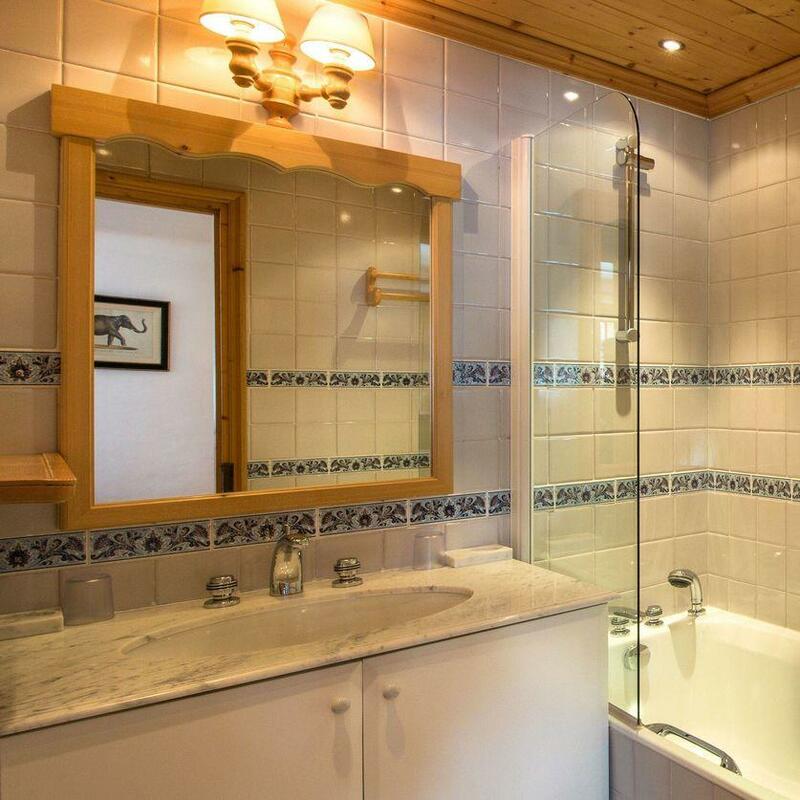 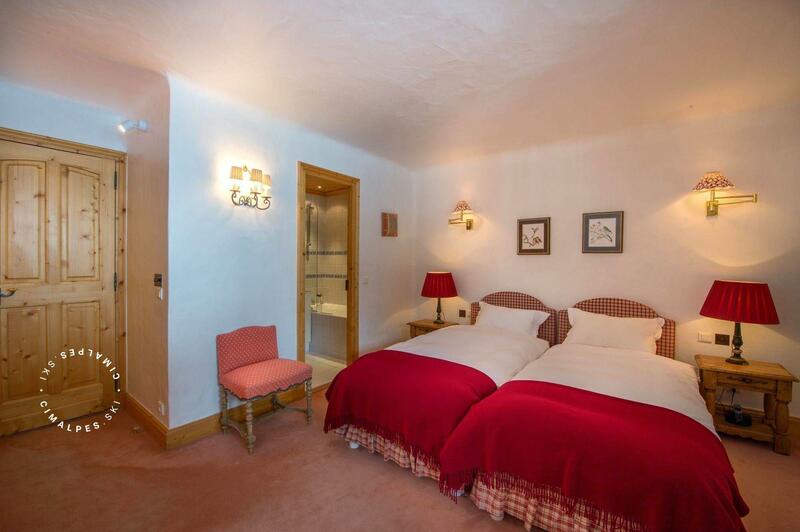 In the quiet and renowned Jardin Alpin area, Chalet Desirade is close to the slopes. 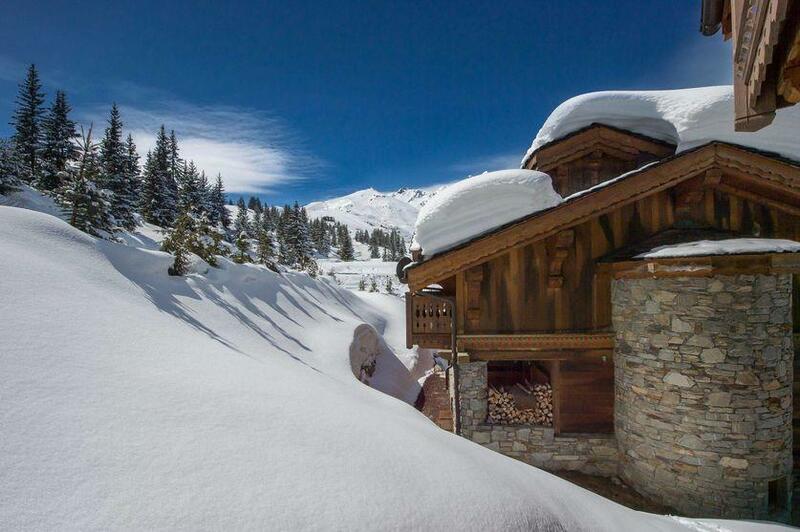 The chalet has a park place in front of the garage. 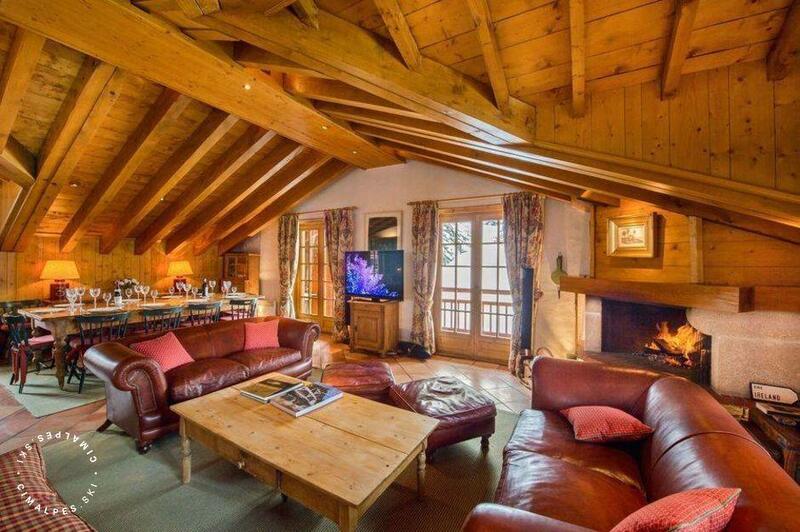 Living area : Great warm living area including a lounge with TV and fireplace, a desk corner, a balcoy facing south, a fitted closed kitchen and a dining room with a table for up to 12 persons.